The first demonstration took place December 28 in Mashhad, Iran’s second largest city, when hundreds of Iranians took to the streets to protest against the country’s economic struggles and food prices. The economic motive of the protests quickly acquired a political dimension, as demonstrators started calling for the end of Hassan Rouhani’s regime, in power since 2013. While still much smaller in scale, not since 2009, after Mahmoud Ahmadinejad’s re-election, has Iran seen such large demonstrations. Unlike the 2009 protests, where more than one million people voiced their discontent over perceived electoral fraud under the leadership of presidential candidates Mir Houssein Mousavi and Mehdi Karroubi, the current protests are lacking in numbers and organization, being more sporadic in nature. However, the current protests are larger in scope, having spilled over provincial cities (an unprecedented phenomenon), and the slogans are more violent than in 2009. Citizens are thus calling for the death of their Supreme Leader ayatollah Ali Khamenei, and for the end of the Islamic Republic, with the protests having stunned even major reformist figures and the opposition Green movement. Although the Iranian nuclear deal has led to some improvements in the country’s economy, a result of oil sales and weapons deals worth billions of dollars, the average citizen is still facing high unemployment rates and a rising inflation. Recently, the price of eggs and poultry has increased approximately 40%, making it a likely trigger for the current demonstrations. Discontent is also directed at governmental corruption, and Iranian involvement in the Syrian and Iraqi conflicts. Pro-government demonstrations, scheduled weeks before to commemorate the 2009 protests, also took place on December 30, and were aired on Iranian TV. Social media has played a decisive role in the matter by means of sparking the demonstrations and giving coverage of the clashes between police and protestors, although internet service has since been cut. At least 22 people have been killed since the protests began, while hundreds have been arrested (450 in Teheran alone). President Rouhani had already stated on the last day of the year that while Iranians had the right to voice their criticism, the government would not tolerate the creation of turmoil, destruction of public property, or disruption of public order. As the government crackdown intensifies, the head of Teheran’s Revolutionary Court, Musa Ghazanfarabadi, warned on January 2 that harsh punishment waited those detained. 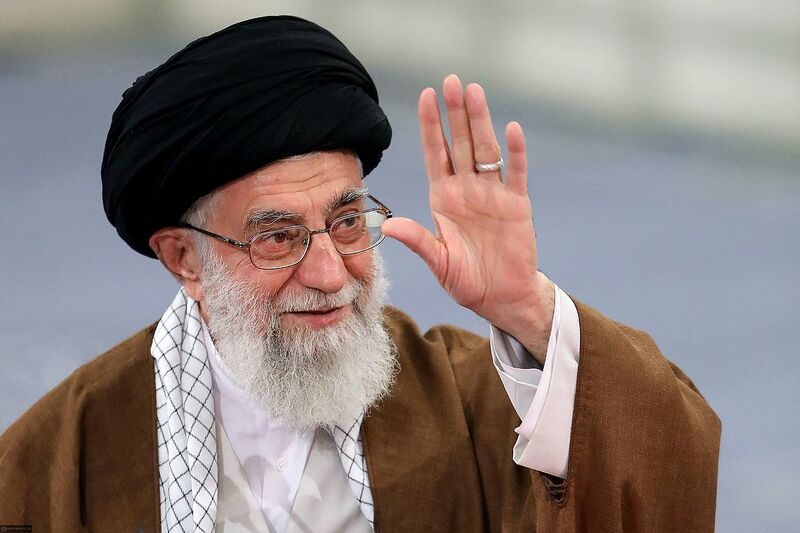 On the same day, ayatollah Ali Khamenei, in his first statement regarding the wave of unrest, has accused ‘enemies of Iran’ of having used “different tools including cash, weapons, politics and intelligence services to create troubles for the Islamic Republic”. U.S. President Donald Trump has posted a series of tweets on this matter, expressing his support for the Iranian protesters, accusing the Middle Eastern nation of human rights violations, describing the Iranian regime as “brutal and corrupt”, and warning that the U.S. was keeping a close eye on the events unfolding. The Iranian Foreign Ministry reacted to such statements by saying that the American leader should concern itself with his own domestic issues, namely the homeless and hungry, and the daily killings of American citizens. A spokeswoman for EU foreign policy chief Federica Mogherini also stated that the EU was watching the protests closely, expecting that the rights of peaceful demonstration and freedom of expression would be granted to the Iranian citizens. Similar statements also originated from Germany’s foreign office and the French Foreign Ministry. Turkey has stated that it was “necessary to avoid violence and not succumb to provocations”, in a Foreign Ministry statement which also emphasized the importance of avoiding international interventions.